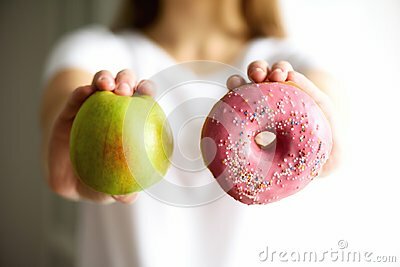 Young woman in white T-shirt choosing between green apple or junk food, donut. Healthy clean detox eating concept. Vegetarian, vegan, raw concept. Copy space.